When I was in my early 20s and working in LA, I made a pittance working in the Hollywood machine. So little, in fact, that I couldn't afford the co-pay for birth control. Luckily, there was a Planned Parenthood out on the Valley, and I was able to get my pills from them. Sure, many people hear "Planned Parenthood" and immediately think "abortion." But they're so much more than that. Yesterday, it was announced that Susan G. Komen Foundation, famous for The 3 Day Walk and the pinkification of everything from socks to sundries, is pulling its financing of Planned Parenthood. 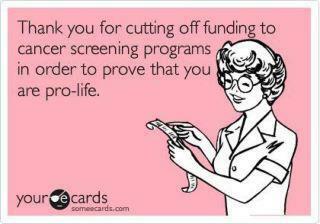 More specifically, it yanked its funding of the low-cost mammograms that Planned Parenthood provides. According to the New York Times, Planned Parentood "provided around 770,000 women with breast examinations and paid for mammograms and ultrasounds for those who needed and could not afford further diagnostic services." "...Cancer doesn't care if you're pro-choice, anti-choice, progressive, conservative," said Patrick Hurd, CEO of Planned Parenthood of Southeastern Virginia. "Victims of cancer could care less about people's politics." What we cancer patients DO care about: access to drugs, treatment and dignity in a healthcare system that works, regardless of party lines, socioeconomic status, or education. 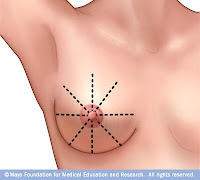 Update 2/2/12: Some of the "news" outlets, in their desperation to support Susan G. Komen for ceasing to fund Planned Parenthood, have begun citing a bogus myth that abortions can lead to higher rates of breast cancer. Let me make it easy for you, since apparently it's wicked hard for some folks to use Google to find out facts and would rather just regurgitate the hype machine: there is no link between abortion and breast cancer. And that's not a myth, it's per The National Cancer Institute from their 2003 study: "Induced abortion is not linked to an increase in breast cancer risk. 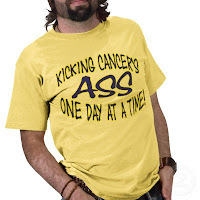 "(source: American Cancer Society). Update 2/3/12: Not more than 48 hours after the story broke, Komen reverses decision to defund Planned Parenthood. http://www.rawstory.com/rs/2012/02/03/komen-reverses-planned-parenthood-decision Social media FTW! We want to apologize to the American public for recent decisions that cast doubt upon our commitment to our mission of saving women’s lives.The events of this week have been deeply unsettling for our supporters, partners and friends and all of us at Susan G. Komen. We have been distressed at the presumption that the changes made to our funding criteria were done for political reasons or to specifically penalize Planned Parenthood. They were not. Our original desire was to fulfill our fiduciary duty to our donors by not funding grant applications made by organizations under investigation. We will amend the criteria to make clear that disqualifying investigations must be criminal and conclusive in nature and not political. That is what is right and fair.Our only goal for our granting process is to support women and families in the fight against breast cancer. Amending our criteria will ensure that politics has no place in our grant process. We will continue to fund existing grants, including those of Planned Parenthood, and preserve their eligibility to apply for future grants, while maintaining the ability of our affiliates to make funding decisions that meet the needs of their communities. It is our hope and we believe it is time for everyone involved to pause, slow down and reflect on how grants can most effectively and directly be administered without controversies that hurt the cause of women. We urge everyone who has participated in this conversation across the country over the last few days to help us move past this issue. We do not want our mission marred or affected by politics – anyone’s politics.Starting this afternoon, we will have calls with our network and key supporters to refocus our attention on our mission and get back to doing our work. We ask for the public’s understanding and patience as we gather our Komen affiliates from around the country to determine how to move forward in the best interests of the women and people we serve. I went in for my yearly checkup yesterday and they told me about a new policy. If your last three paps are okay you don't get tested for three years. ??? I'm assuming this WTF policy has been put in place to deal with the sudden lack of funding. Like cancer will hold off on showing up for another three years. I agree with you, Kara. This is ridiculous and heart-breaking. Deep Thinker - That's sad. While I'm not a doctor, I can't imagine cancer would wait a few years. Melissa - Heartbreaking originally, but now I'm thrilled SGK has rescinded their outlook! Social media FTW!